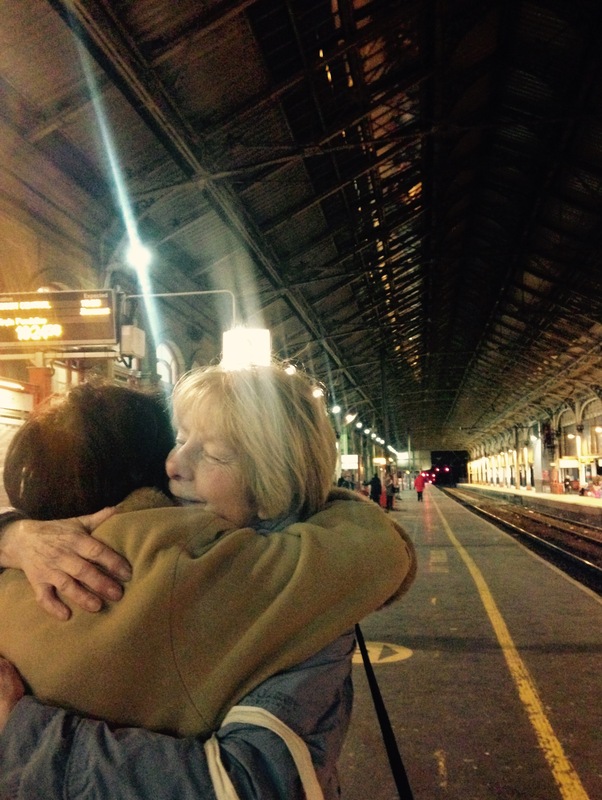 ​The world première of I’m Glad You’re Here will be taking place at Preston Train Station during April 2015. Artist Lowri Evans will be meeting passengers off trains and offering a series of bespoke greetings. Take your pick from a menu of encounters, whether it’s the red carpet treatment or a hug and help with your bags; there’s something for all tastes. This is your chance to have a fleeting, filmic moment in an unlikely place. If you are sick of carrying yourself through long journeys (and perhaps life in general), then I’m Glad You’re Heremight just be for you. If you are passing through the station anytime between 13 - 17 April you are eligible for the free service. Booking essential. A co-production with Derelict Sites and They Eat Culture’s Hit the North project Supported using public funding via Arts Council England and UCLan.